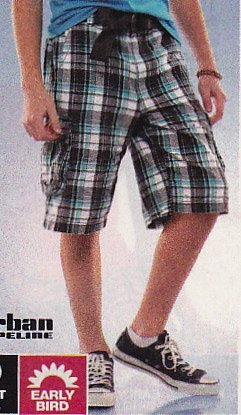 Photo gallery of advertisements from newspaper supplements showing models wearing shorts with various pairs of chucks. 1 Ads for Shorts Ad for shorts with black low cut chucks. 2 Ads for Shorts Ad for shorts with black low cut chucks. 3 Ads for Shorts Ad for shorts with black low cut chucks. 4 Ads for Shorts Ad for skirt with black low cut chucks. 5 Ads for Shorts Ad for Sideout shorts with black low cut chucks. 6 Ads for Shorts Ad for Southpole shorts with black low cut chucks. 7 Ads for Shorts Ad for shorts with low cut black chucks. 8 Ads for Shorts Ad for Bermuda shorts with white low cut chucks. 9 Ads for Shorts Ad for shorts with black, charcoal, and monochrome black low cut chucks. 10 Ads for Shorts Ad for shorts with white and olive double tongue low cut chucks. 11 Ads for Shorts Ad for shorts with black anarchy high tops. 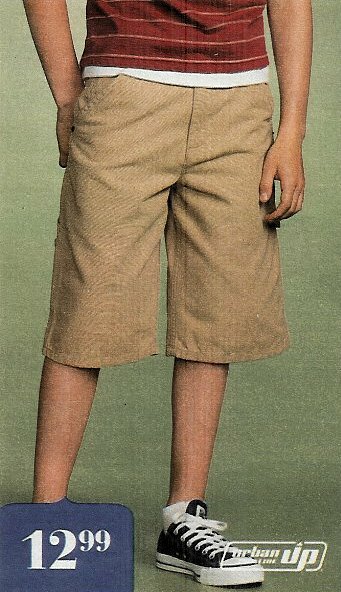 12 Ads for Shorts Print shorts with black low cut chucks. 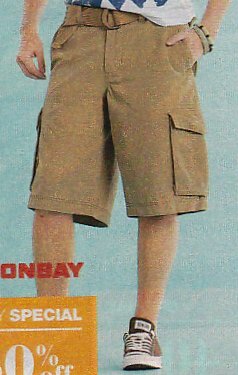 13 Ads for Shorts Union Bay print shorts with black low cut chucks. 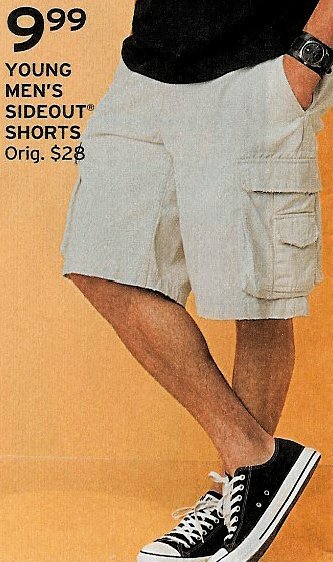 14 Ads for Shorts Print shorts with black low cut chucks. 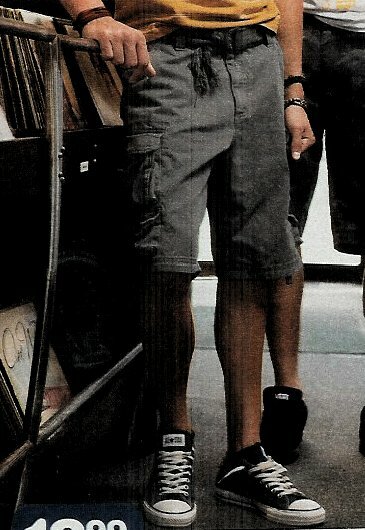 15 Ads for Shorts Grey sweatpants with black low cut chucks. 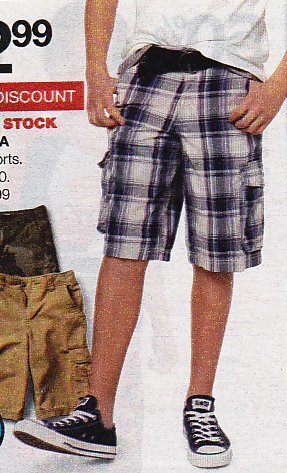 16 Ads for Shorts Plaid dungaree cargo shorts with black low cut chucks. 17 Ads for Shorts Ad for shorts with black low cut chucks. 18 Ads for Shorts Ad for Urban Pipeline shorts with black low cut chucks. 19 Ads for Shorts Ad for Vigoss shorts with black low cut chucks. 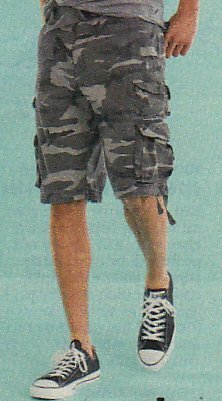 20 Ads for Shorts Ad for plaid and cargo shorts with grey and black low cut chucks. 21 Ads for Shorts Ad for Urban Pipeline cargo shorts with black low cut chucks. 22 Ads for Shorts Ad for Urban Pipeline plaid shorts with black low cut chucks. 23 Ads for Shorts Ad for shorts with black low cut chucks. 24 Ads for Shorts Ad for shorts with white low cut chucks. 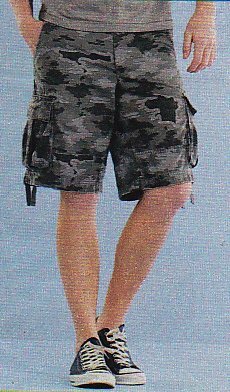 25 Ads for Shorts Ad for camouflage cargo shorts with black low cut chucks. 26 Ads for Shorts Ad for Tony Hawk shorts with charcoal low cut chucks. 27 Ads for Shorts Ad for Bongo short shorts with black low cut chucks. 28 Ads for Shorts Ad for Urban Pipeline shorts with black low cut chucks. 29 Ads for Shorts Ad for shorts with black low cut chucks. 30 Ads for Shorts Ad for shorts with navy blue low cut chucks. 31 Ads for Shorts Ad for Urban Pipeline shorts with black low cut chucks. 32 Ads for Shorts Ad for a skirt with white low cut chucks. 33 Ads for Shorts Ad for shorts with black low cut chucks. 34 Ads for Shorts Ad for shorts with white low cut chucks. 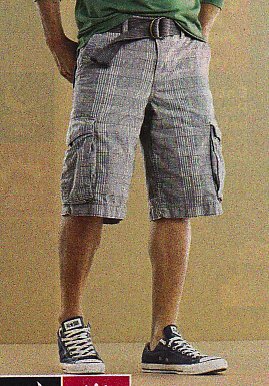 35 Ads for Shorts Ad for Dickies shorts with grey low cut chucks. 36 Ads for Shorts Ad for shorts with black low cut chucks. 37 Ads for Shorts Ad for shorts with black chucks. 38 Ads for Shorts Ad for shorts with black low cut chucks. 39 Ads for Shorts Ad for short shorts with grey chucks. 40 Ads for Shorts Ad for Urban Pipeline shorts with brown low cut chucks. 42 Ads for Shorts Ad for shorts with black chucks and red and black print shoelaces. 43 Ads for Shorts Ad for gray shorts with gray double tongue chucks. 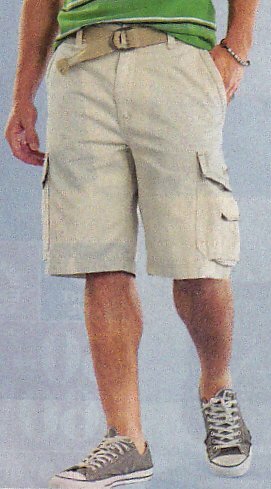 44 Ads for Shorts Ad for Union Bay tan shorts with navy blue low cut chucks. 45 Ads for Shorts Ad for brown shorts with brown low cut chucks. 46 Ads for Shorts Ad for camouflage shorts with black low cut chucks. 47 Ads for Shorts Ad for brown Urban Pipeline shorts and light gray chucks. 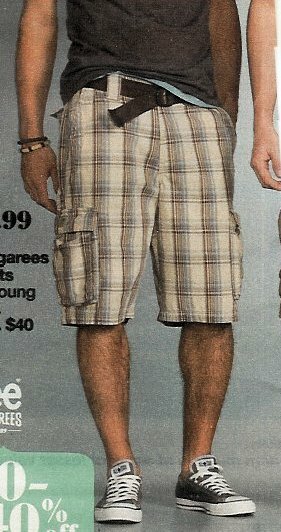 48 Ads for Shorts Ad for plaid shorts with black low cut chucks. 49 Ads for Shorts Ad for camouflage shorts with black chucks. 50 Ads for Shorts Ad for brown Union Bay shorts with navy blue chucks. 51 Ads for Shorts Ad for black shorts with pink low cut chucks. 52 Ads for Shorts Ad for Bongo jeans shorts with optical white chucks and blue shoelaces. 53 Ads for Shorts Ad for brown shorts with brown chucks. 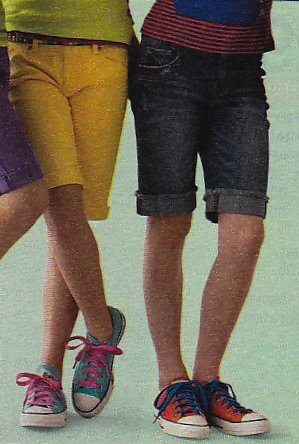 54 Ads for Shorts Ad showing yellow shorts with turquoise chucks and short jeans with hot pink chucks. 55 Ads for Shorts Ad for tan shorts with grey chucks. 56 Ads for Shorts Ad for camouflage shorts with black chucks. 57 Ads for Shorts Ad for gray shorts with royal blue chucks. 59 Ads for Shorts Ad for Urban Pipeline striped shorts with charcoal chucks. 60 Ads for Shorts Ad for white shorts with gray chucks. 61 Ads for Shorts Ad for black shorts with black high top chucks. 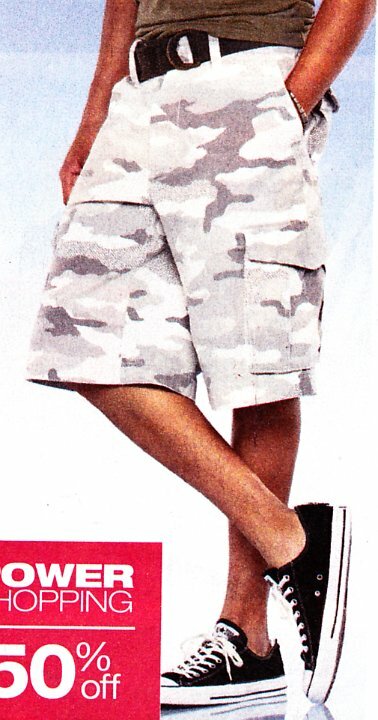 62 Ads for Shorts Ad for camouflage shorts with gray high top chucks. 63 Ads for Shorts Ad for tan shorts with gray chucks. 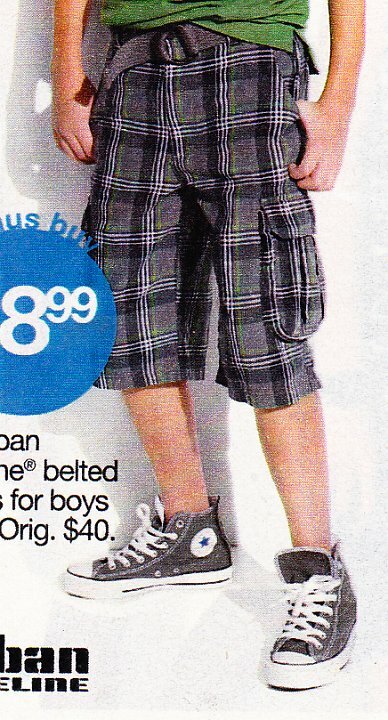 64 Ads for Shorts Ad for Lel Dungaree plaid cargo shorts with gray chucks. 66 Ads for Shorts Ad for gray shorts with black chucks. 68 Ads for Shorts Ad for camouflage shorts with black low cut chucks. 69 Ads for Shorts Ad for striped shorts with navy blue low cut chucks. 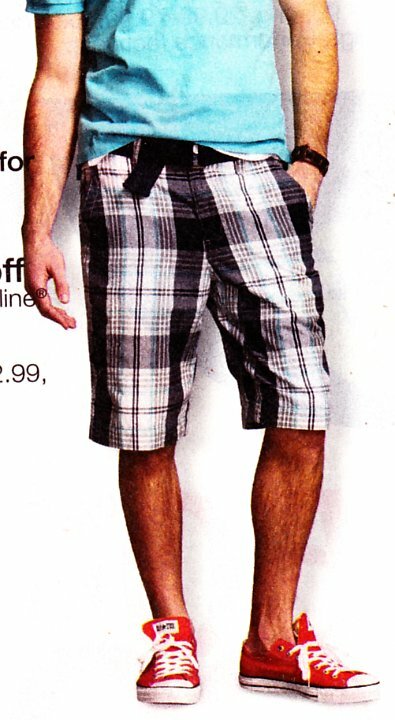 70 Ads for Shorts Ad for black plaid shorts with brown low cut chucks. 71 Ads for Shorts Ad for black shorts with black low cut chucks and black laces. 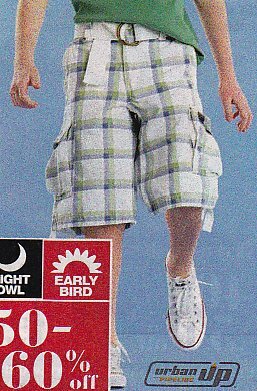 72 Ads for Shorts Ad for plaid shorts with optical white low cut chucks. 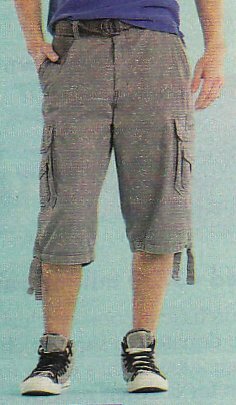 73 Ads for Shorts Ad for plaid shorts with gray low cut chucks. 74 Ads for Shorts Ad for brown shorts with black low cut chucks. 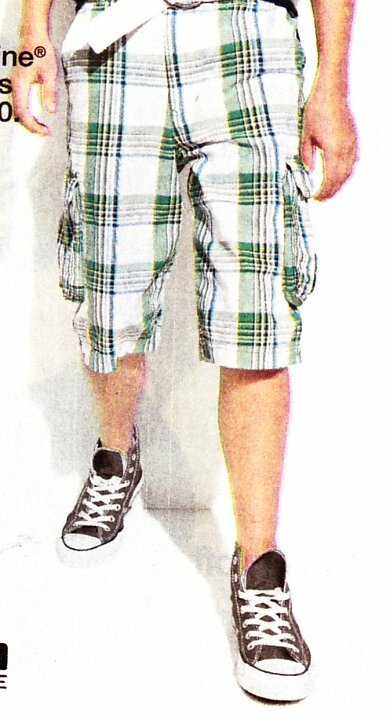 78 Ads for Shorts Ad for plaid shorts with white chucks and narrow brown laces. 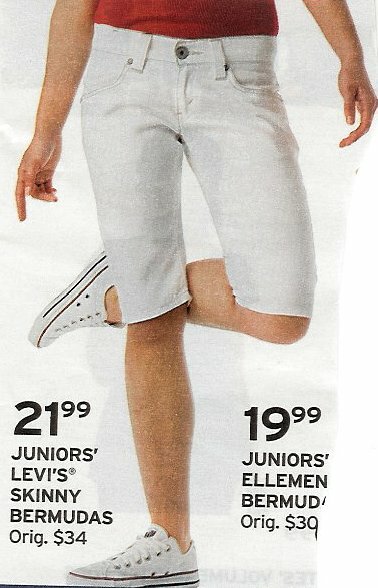 79 Ads for Shorts Ad for white shorts with gray low cut chucks. 80 Ads for Shorts Ad for short jeans with black low cut chucks. 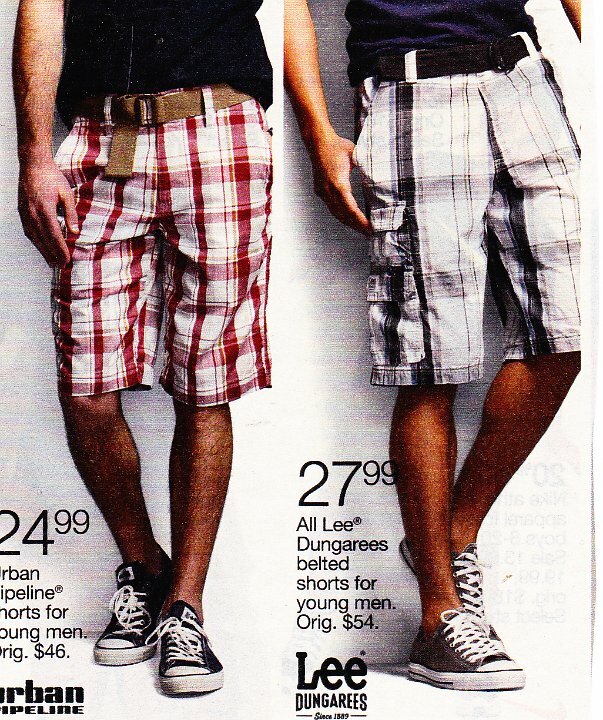 81 Ads for Shorts Ad for plaid shorts with black low cut chucks. 82 Ads for Shorts Ad for lime green shorts with gray chucks and colored print laces. 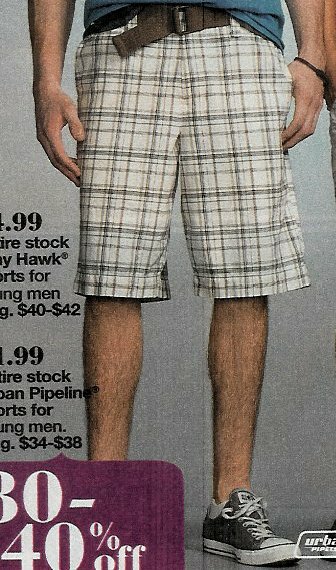 83 Ads for Shorts Ad for plaid shorts with gray low cut chucks. 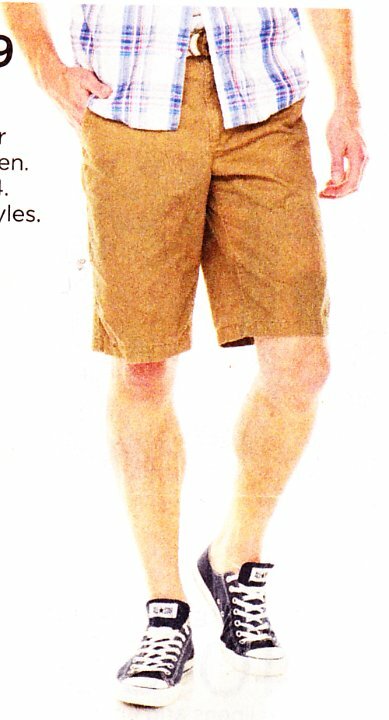 84 Ads for Shorts Ad for brown shorts with navy blue low cut chucks. 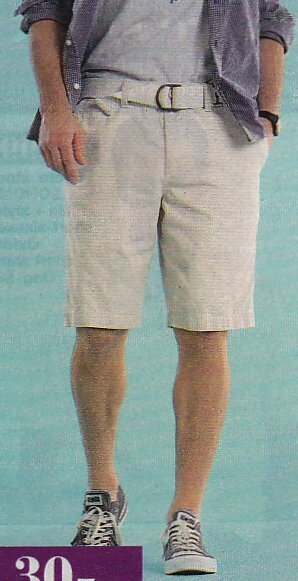 85 Ads for Shorts Ad for gray shorts with optical white low cut chucks. 86 Ads for Shorts Ad for blue plaid shorts with navy blue low cut chucks. 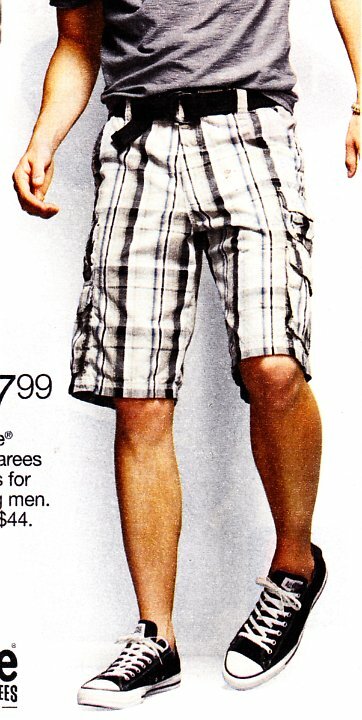 87 Ads for Shorts Ad for plaid shorts with gray low cut chucks. 88 Ads for Shorts Ad for gray shorts with black low cut chucks. 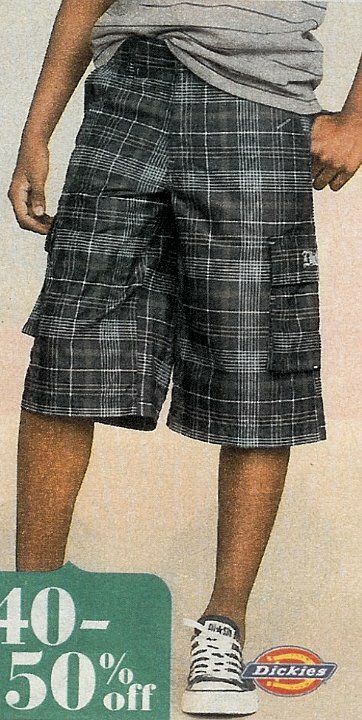 89 Ads for Shorts Ad for plaid Arizona shorts with black low cut chucks with grey laces. 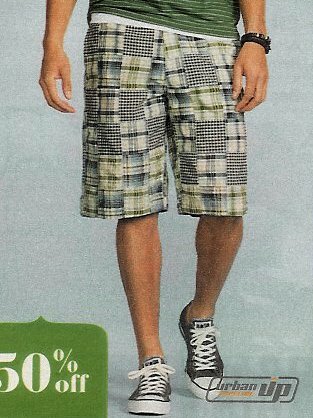 90 Ads for Shorts Ad for plaid shorts with black low cut chucks. 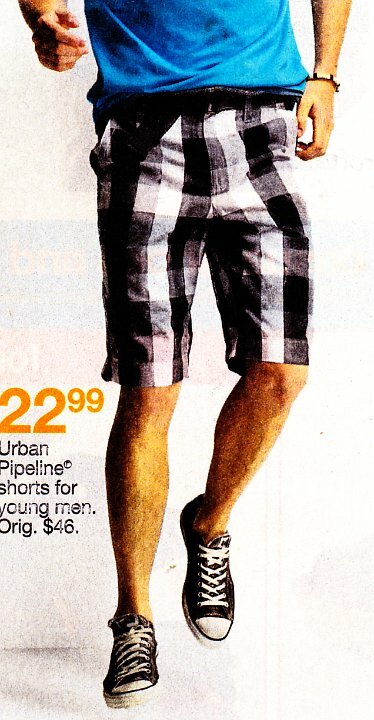 91 Ads for Shorts Ad for Urban Pipeline plaid shorts with gray low cut chucks. 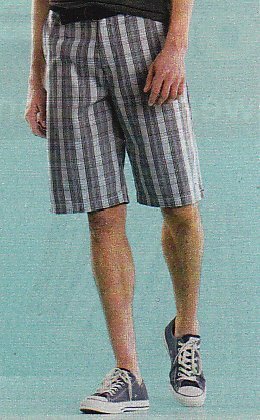 92 Ads for Shorts Ad for dark gray shorts with plaid low cut chucks. 93 Ads for Shorts Ad for gray shorts with gray low cut chucks. 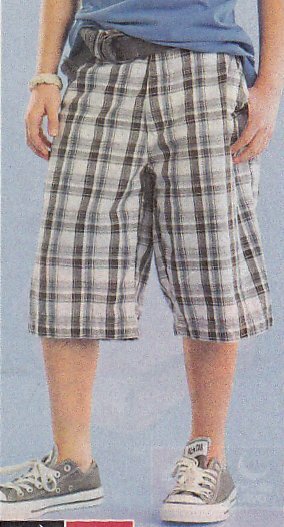 94 Ads for Shorts Ad for plaid shorts with purple low cut chucks. 95 Ads for Shorts Ad for jeans shorts with pink low cut chucks. 96 Ads for Shorts Ad for Urban Pipeline plaid shorts with gray chucks. 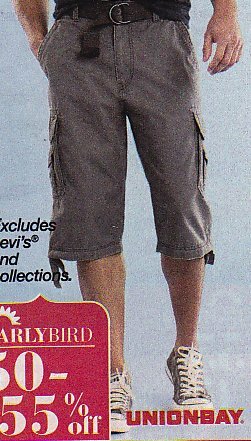 97 Ads for Shorts Ad for plaid shorts with gray low cut chucks. 98 Ads for Shorts Ad for plaid shorts with gray low cut chucks. 99 Ads for Shorts Ad for plaid shorts with black low cut chucks. 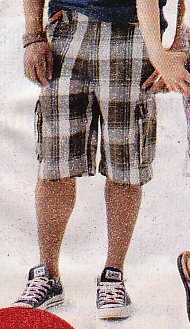 100 Ads for Shorts Ad for plaid shorts with brown low cut chucks. 101 Ads for Shorts Ad for tan shorts with brown low cut chucks. 102 Ads for Shorts Ad for jeans with pink low cut chucks. 103 Ads for Shorts Ad for tan shorts with tan low cut chucks. 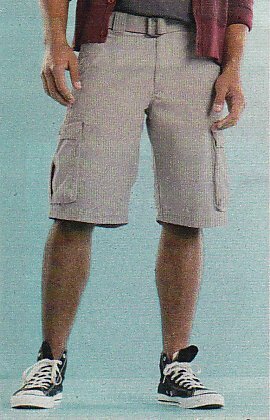 105 Ads for Shorts Ad for brown shorts with gray low cut chucks. 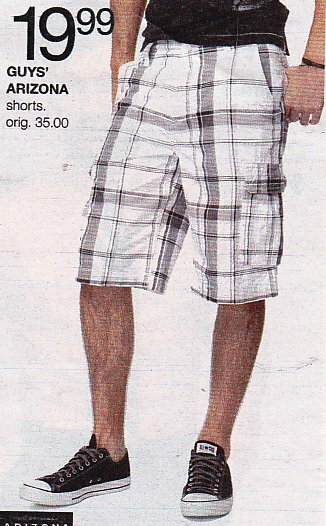 106 Ads for Shorts Ad for plaid shorts with gray low cut chucks. 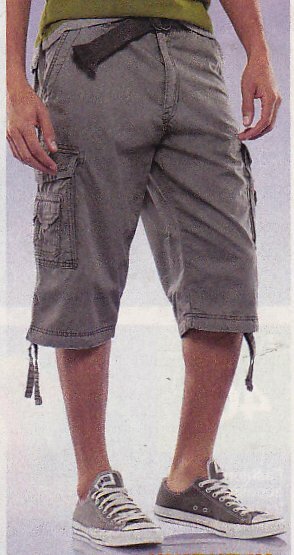 108 Ads for Shorts Ad for plaid shorts with black low cut chucks and gray shoelaces. 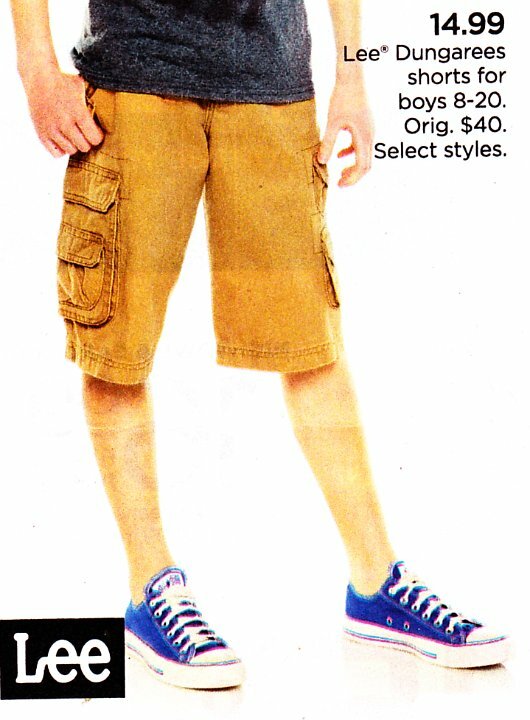 109 Ads for Shorts Ad for gray shorts with dark blue low cut chucks. 110 Ads for Shorts Ad for tan shorts with black low cut chucks. 111 Ads for Shorts Ad for white camouflage shorts with black low cut chucks. 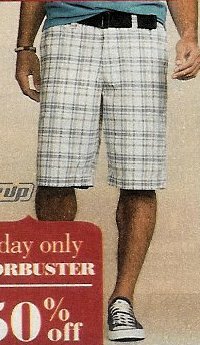 112 Ads for Shorts Ad for plaid shorts with gray low cut chucks. 113 Ads for Shorts Ad for brown shorts with red low cut chucks. 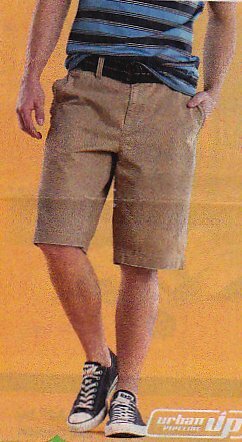 114 Ads for Shorts Ad for beige shorts with navy blue low cut chucks. 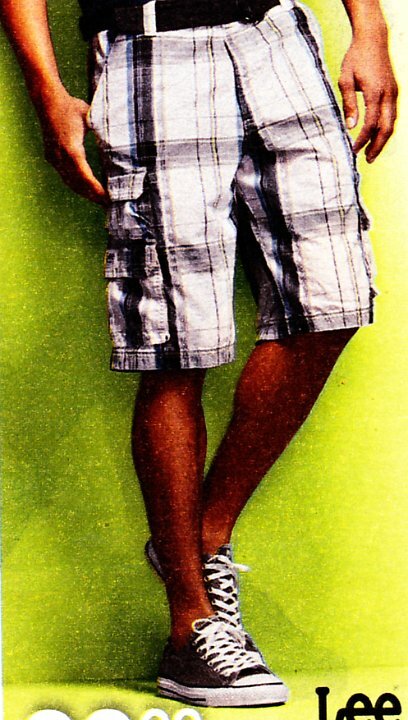 115 Ads for Shorts Ad for plaid shorts with charcoal grey low cut chucks. 116 Ads for Shorts Ad for black pants with light purple low cut chucks. 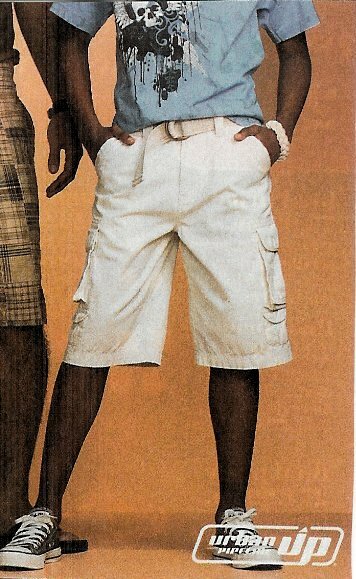 117 Ads for Shorts Ad for white shorts with indigo low cut chucks. 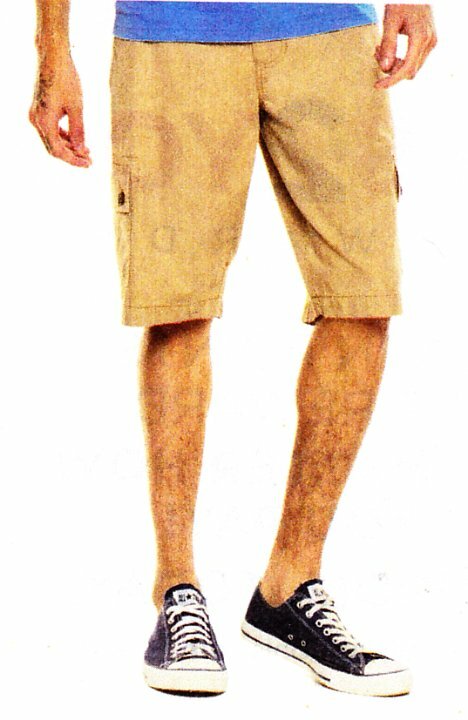 118 Ads for Shorts Ad for brown shorts with gray low cut chucks. 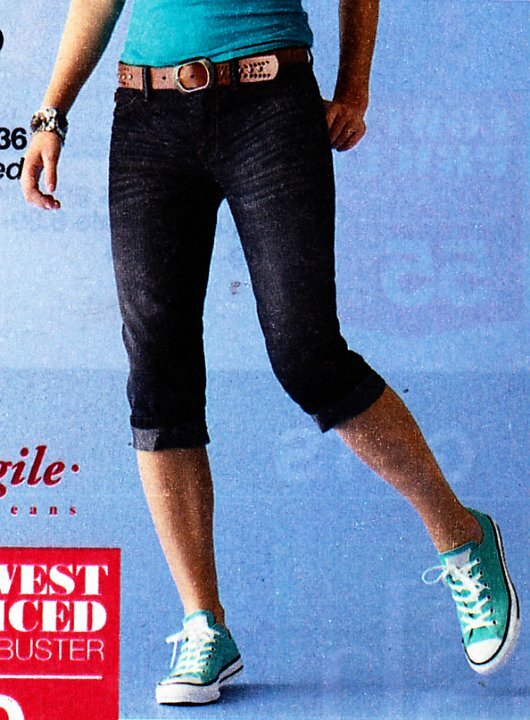 119 Ads for Shorts Ad for short jeans with turqoise low cut chucks. 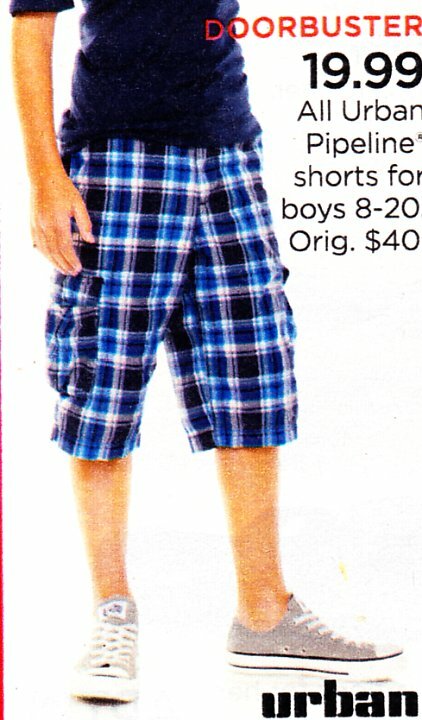 120 Ads for Shorts Ad for plaid shorts with blue low cut chucks. 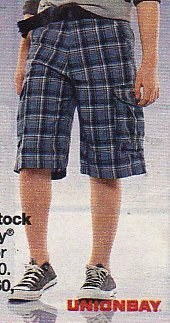 121 Ads for Shorts Ad for plaid shorts with dark blue low cut chucks. 122 Ads for Shorts Ad for black shorts with black high top chucks. 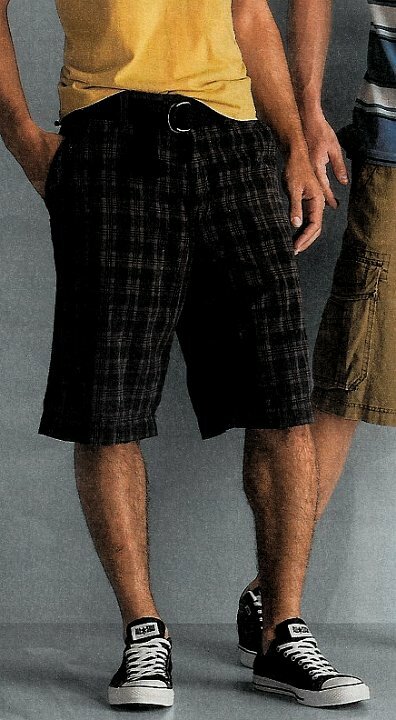 123 Ads for Shorts Ad for plaid shorts with black low cut chucks. 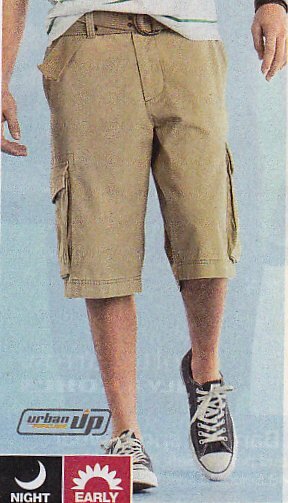 124 Ads for Shorts Ad for Urban Pipeline khaki shorts with black low cut chucks. 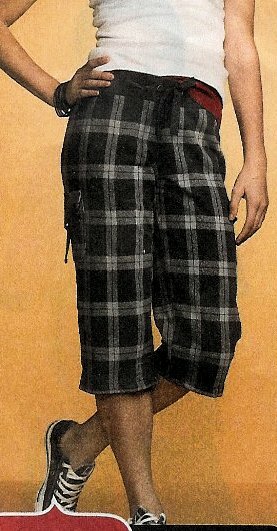 125 Ads for Shorts Ad for plaid shorts with black low cut chucks. 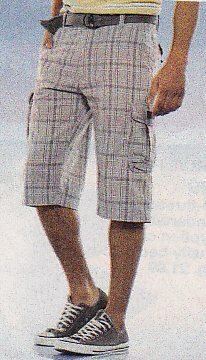 126 Ads for Shorts Ad for plaid shorts with black low cut chucks. 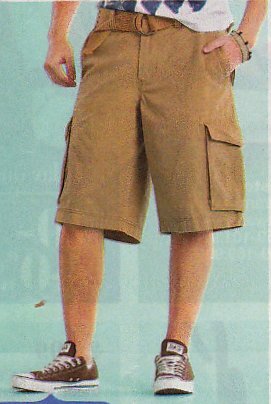 127 Ads for Shorts Ad for khaki cargo shorts with black low cut chucks. 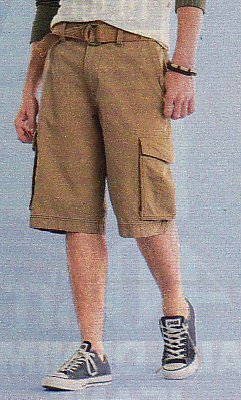 128 Ads for Shorts Ad for grey cargo shorts with black low cut chucks. 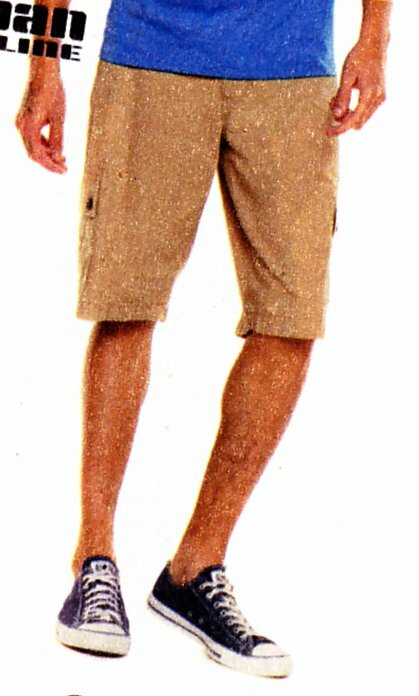 129 Ads for Shorts Ad for brown and tan shorts with black low cut chucks. 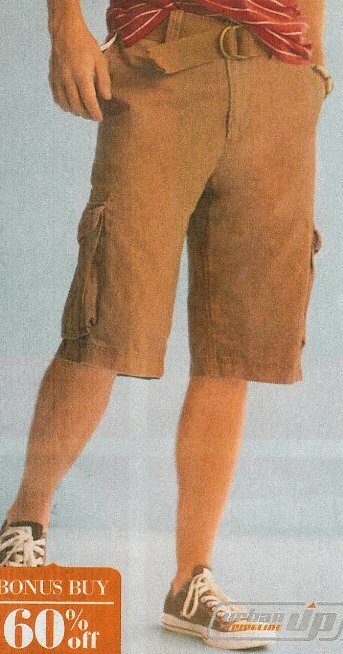 130 Ads for Shorts Ad for plaid shorts with pumpkin orange low cut chucks. 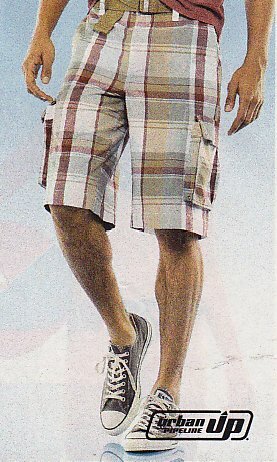 131 Ads for Shorts Ad for Urban Pipeline plaid shorts with red low cut chucks. 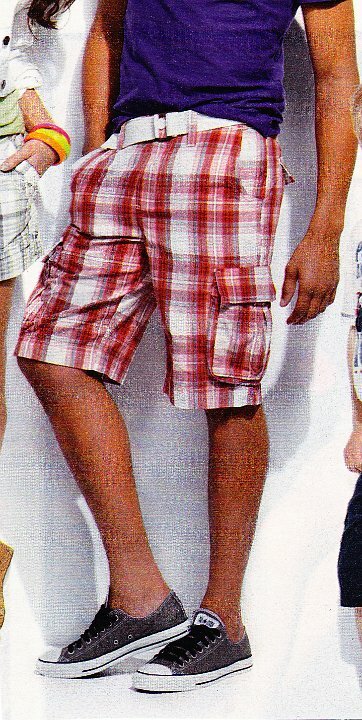 132 Ads for Shorts Ad for blue denim shorts with black low cut chucks with red multicolor shoelaces. 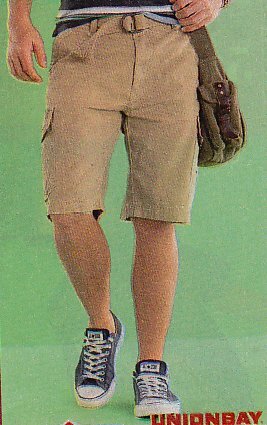 133 Ads for Shorts Ad for Levis khaki cargo shorts with black low cut chucks. 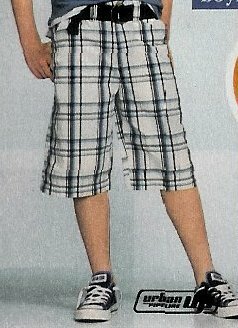 134 Ads for Shorts Ad for plaid shorts with black low cut chucks. 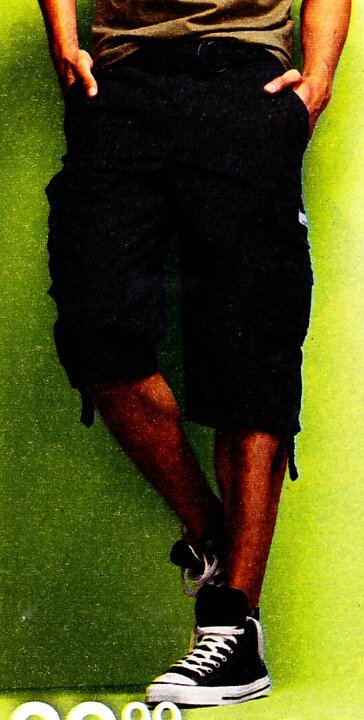 135 Ads for Shorts Ad for black shorts with black high top chucks. 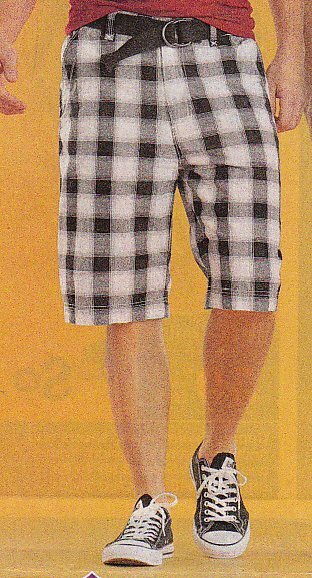 136 Ads for Shorts Ad for plaid shorts with black low cut chucks. 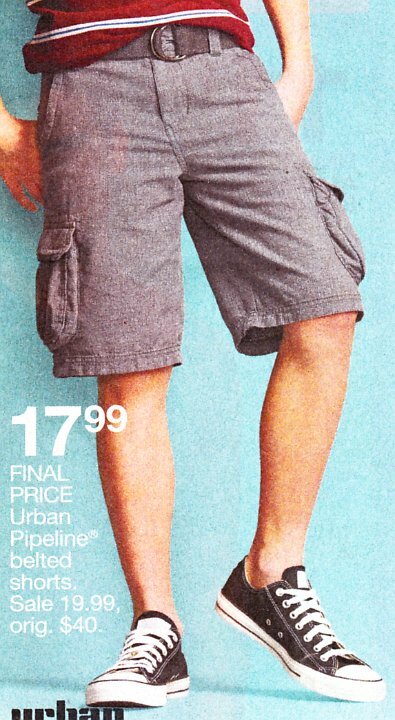 137 Ads for Shorts Ad for Urban Pipeline cargo shorts with blue low cut chucks. 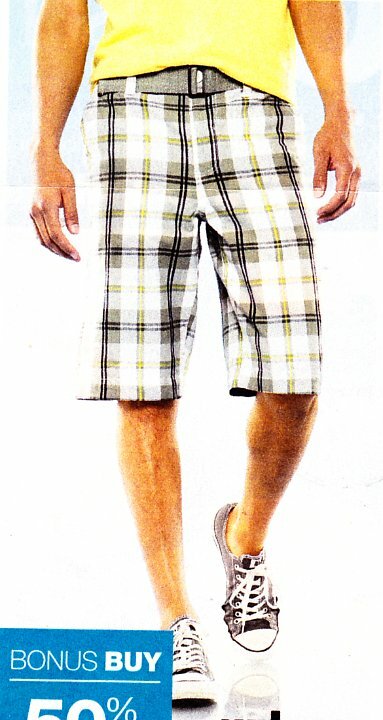 138 Ads for Shorts Ad for plaid shorts with black low cut chucks. 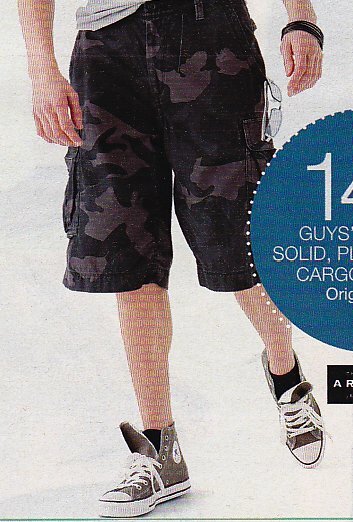 139 Ads for Shorts Ad for cargo and plaid shorts with charcoal and black low cut chucks. 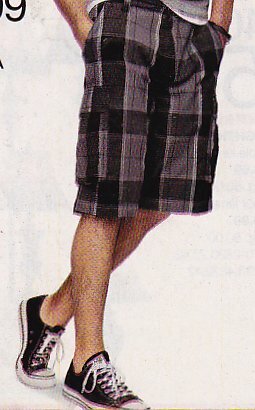 140 Ads for Shorts Ad for plaid shorts with black low cut chucks. 141 Ads for Shorts Ad for grey shorts with black low cut chucks. 142 Ads for Shorts Ad for tan shorts with black low cut chucks. 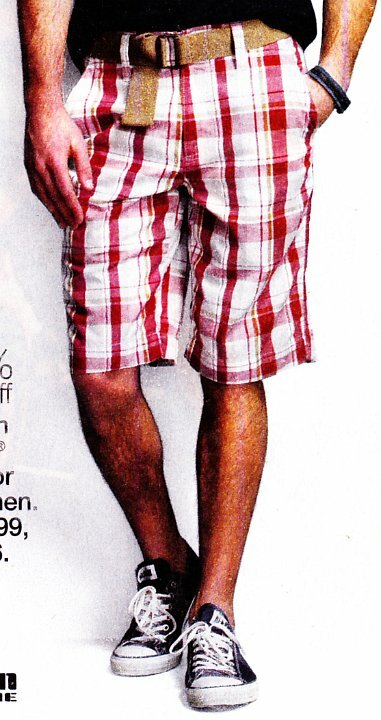 143 Ads for Shorts Ad for plaid shorts with red low cut chucks. 144 Ads for Shorts Ad for Levis shorts with black high top chucks. 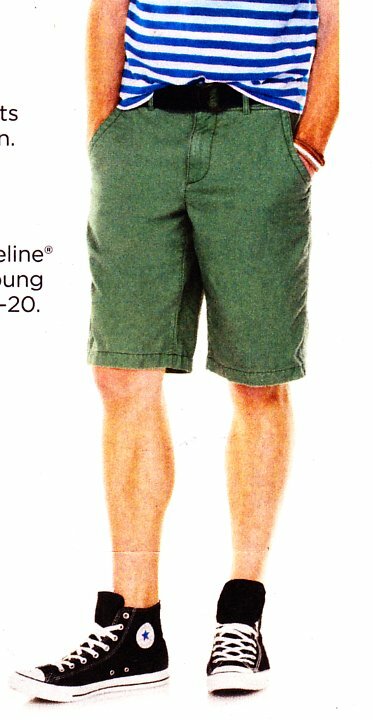 145 Ads for Shorts Ad for green plaid shorts with charcoal low cut chucks. 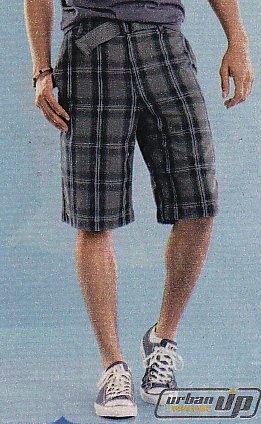 146 Ads for Shorts Ad for plaid shorts with black and charcoal low cut chucks. 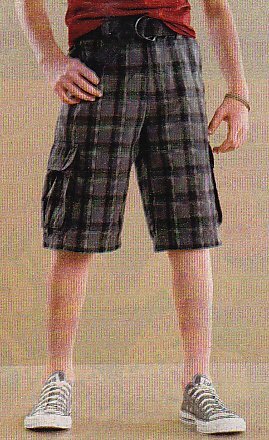 147 Ads for Shorts Ad for plaid shorts with charcoal high top chucks. 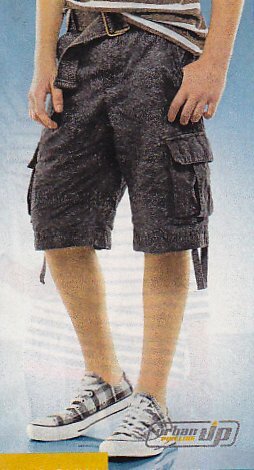 148 Ads for Shorts Ad for red plaid shorts with charcoal low cut chucks and black laces. 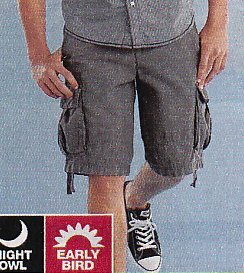 149 Ads for Shorts Ad for plaid Lee Dungareens shorts with charcoal low cut chucks. 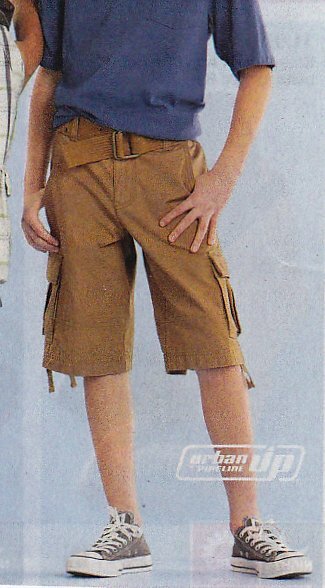 150 Ads for Shorts Ad for Levi's cargo shorts with black high top chucks with black laces. 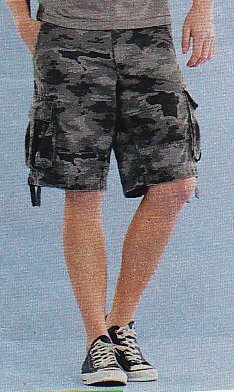 151 Ads for Shorts Ad for camouflage shorts with charcoal low cut chucks. 152 Ads for Shorts Ad for camouflage shorts with charcoal low cut chucks and yellow laces. 153 Ads for Shorts Ad for yellow shorts with black low cut chucks. 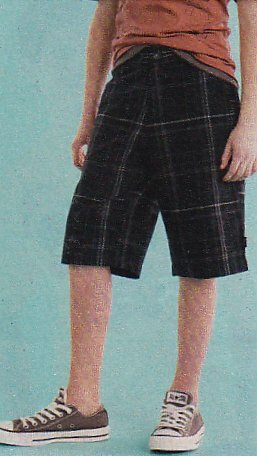 154 Ads for Shorts Ad for red and black plaid shorts with black low cut chucks. 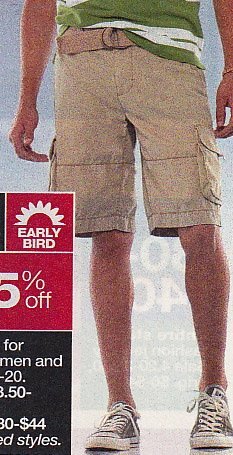 155 Ads for Shorts Ad for tan cargo shorts with optical white low cut chucks. 156 Ads for Shorts Ad for green shorts with black high top chucks. 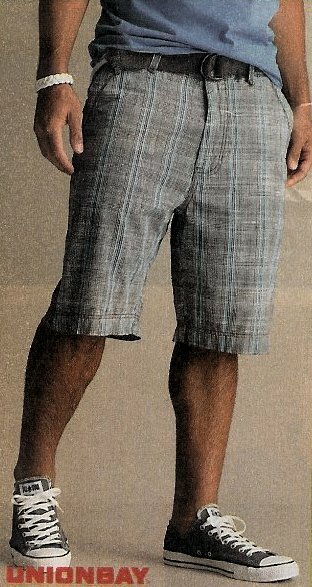 157 Ads for Shorts Ad for blue plaid shorts with light charcoal low cut chucks. 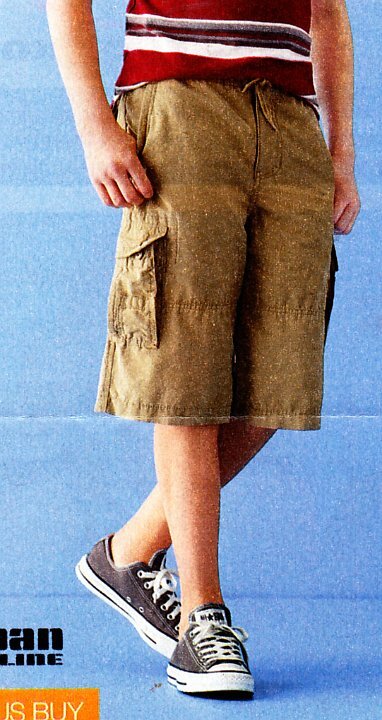 158 Ads for Shorts Ad for tan cargo shorts with black low cut chucks with green print laces. 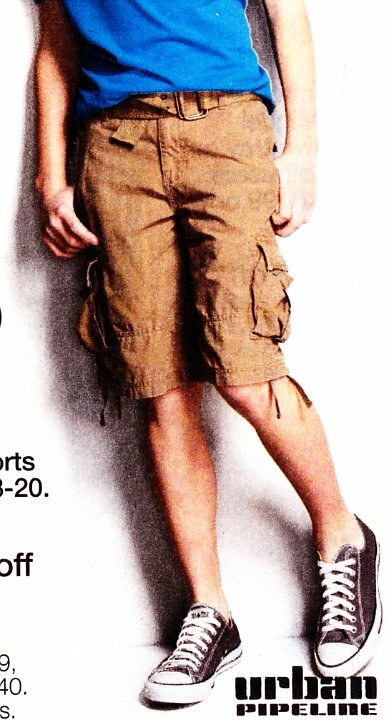 159 Ads for Shorts Ad for gray cargo shorts with black high top chucks. 160 Ads for Shorts Ad for white shorts with black high top chucks and red laces. 161 Ads for Shorts Ad for black shorts with black low cut chucks. 162 Ads for Shorts Ad for tan shorts with black low cut chucks. 163 Ads for Shorts Ad for grey shorts with black low cut chucks. 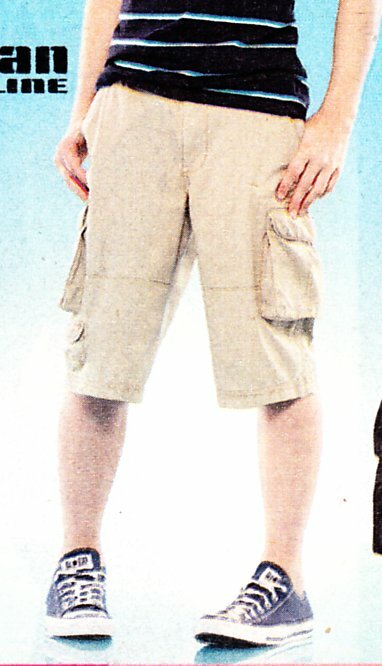 164 Ads for Shorts Ad for Lee Dungarees cargo shorts with royal blue low cut chucks. 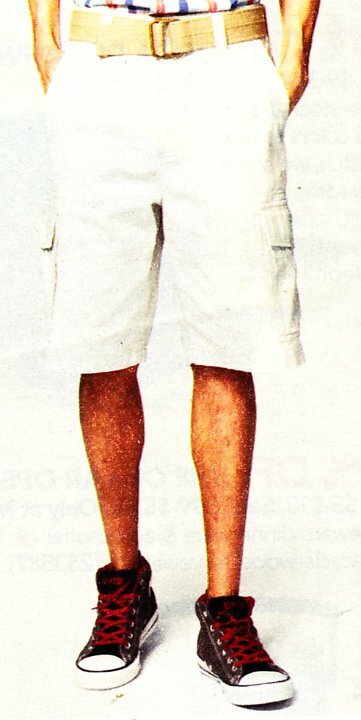 165 Ads for Shorts Ad for tan shorts with black low cut chucks. 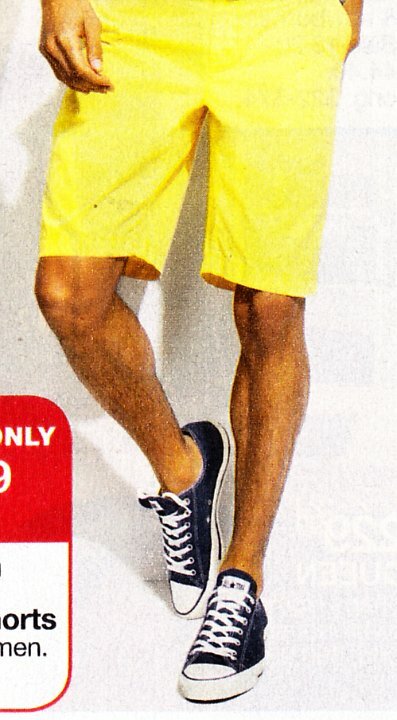 166 Ads for Shorts Ad for yellow shorts with charcoal low cut chucks. 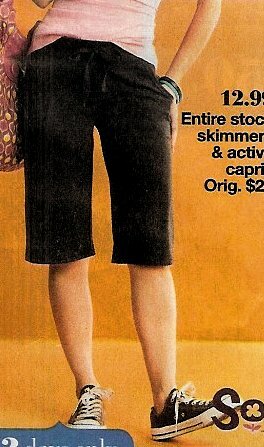 167 Ads for Shorts Ad for blue capris with charcoal zipper high top chucks. 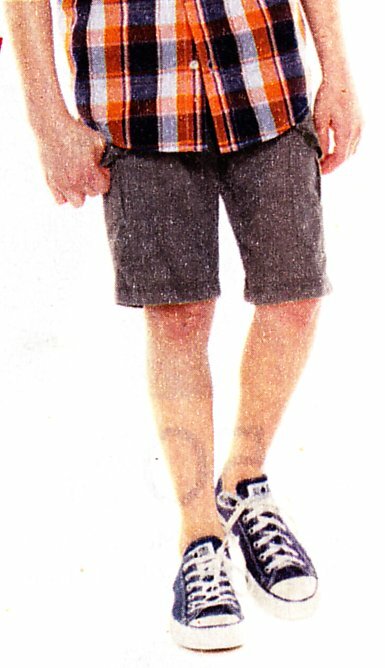 168 Ads for Shorts Ad for gre shorts with navy blue low cut chucks. 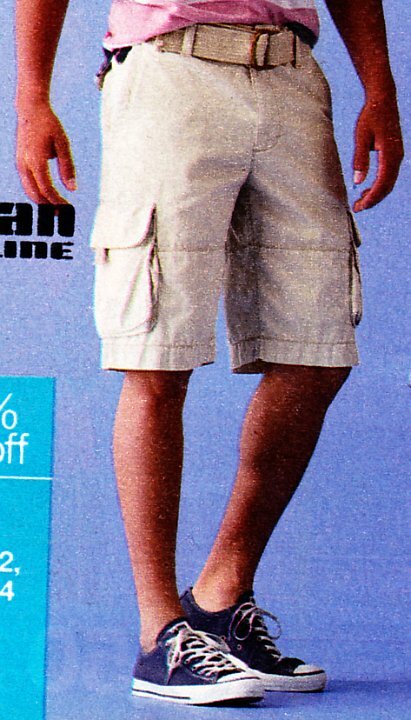 169 Ads for Shorts Ad for tan shorts with navy blue low cut chucks. 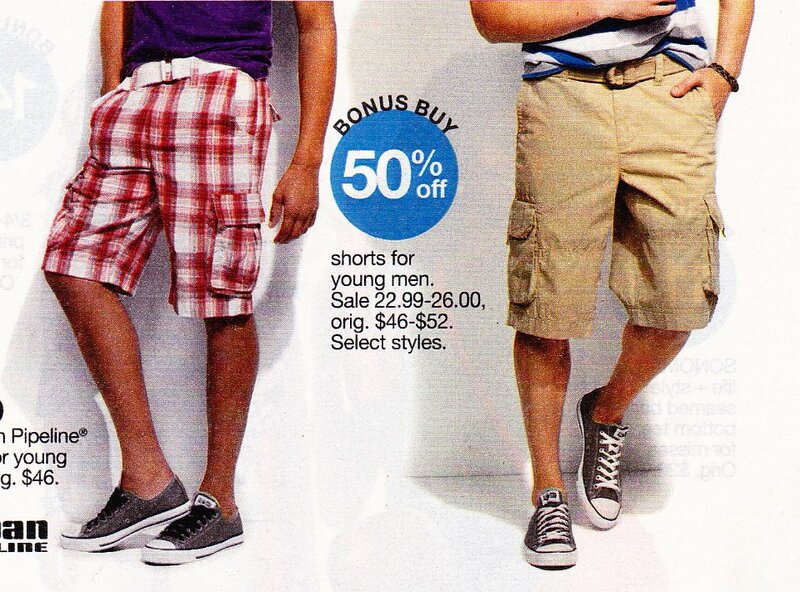 These are advertisements for shorts that appear in newspaper supplements.